Three senators want to stop federal law enforcement from interfering with legal pot. Medical marijuana is legal in 23 states, but the drug remains illegal under federal law. Imagine a retired grandmother who is suffering terribly with a serious illness. Her doctor believes that marijuana might help. Her neighbors don’t mind if she fills a pot prescription: They overwhelmingly voted to give her that right. Sure enough, the woman finds that smoking weed lessens her suffering. Should the federal government be empowered to arrest her for consuming it? Many in Congress think so. And while federal agents are unlikely to intervene in this sort of case because the optics would be so awful, the law allows for it. But Senator Rand Paul, a Republican, and his Democratic colleagues, Senators Cory Booker and Kirsten Gillibrand, hope a legislative majority will endorse a less-callous approach. 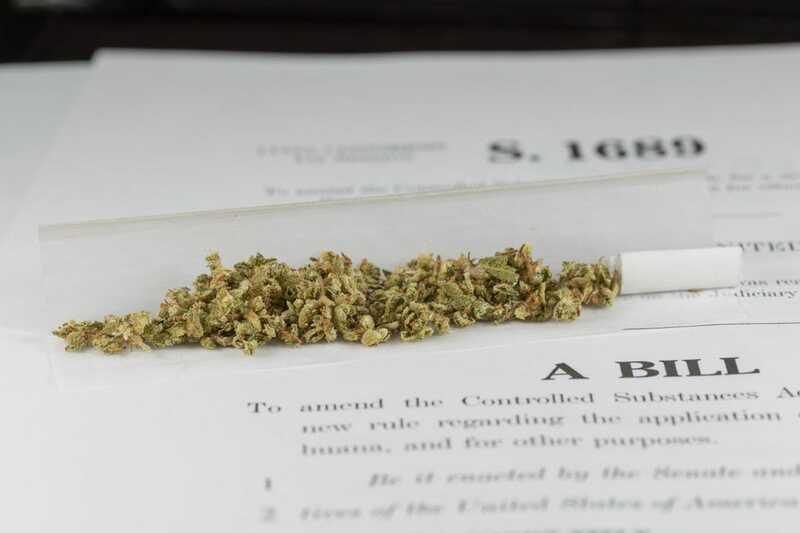 Tuesday, they are introducing a bipartisan bill that would "allow patients, doctors and businesses in states that have already passed medical-marijuana laws to participate in those programs without fear of federal prosecution." Exaggerated notions of the harmfulness of marijuana cannot survive in a society where cancer patients consume it. The bill is expected to divide Republicans. Senator Paul, his colleague Ted Cruz, and Governor Rick Perry, among others, have some regard for the 10th Amendment, which states that "the powers not delegated to the United States by the Constitution, nor prohibited by it to the states, are reserved to the states respectively, or to the people." They also believe that states can act as laboratories of democracy: People in different regions can live under a system of their liking while acting as a model for other Americans as they weigh the best approach. Other Republicans want the federal government to override the will of the people in various states. They argue that many people who get medical marijuana cards don’t really need the drug—it’s hardly unique among prescription medications in that sense—and they fear that the availability of medical marijuana will lead to full legalization, as it has in states including Colorado, Washington, and Oregon. They’re right to think so. Exaggerated notions of the harmfulness of marijuana cannot survive in a society where cancer patients consume it. And as exaggerated worries fade, support for prohibition plummets. That isn’t because marijuana is harmless. Regular use is bad for one’s health. Some users become psychologically addicted. Long-term use carries unknown risks. There are prohibitionists who have a very clear understanding of the drug’s costs and benefits, and continue to staunchly oppose legalization of any kind. But most people who see the costs and benefits of marijuana clearly conclude that preventing other Americans from smoking it at the point of a gun is deeply immoral. Most people are unwilling to send SWAT teams into family homes, lock humans in cages, and enrich drug cartels all in the hopes that a War on Drugs that has failed for decades will improbably turn out to be successful in the end. Tom Angell of Marijuana Majority, an advocacy group, sees this latest bill as evidence that popular opinion is influencing politicians. "The fact that two young Democrats with likely long political futures have teamed up with a probable 2016 Republican presidential candidate shows how medical marijuana is a nonpartisan, noncontroversial issue that draws support from across the spectrum," he wrote. Roughly half of Americans now favor outright legalization of recreational marijuana. The day isn’t far off when public opinion will have shifted enough to bring about a bill to that effect at the national level. That various states are experimenting with medicinal and recreational marijuana leaves us better prepared for that moment. Enabling those experiments is a step in a responsible direction. Detroiter Retraces Her Father’s Walk 50 Years Ago In Selma, Alabama A new Senate bill maps out how weed will eventually become legal in the U.S.